I had the opportunity to peruse the fine shops of downtown Santa Fe on my recent visit to New Mexico. One experience in particular is worthy of a blog post — my visit to the shop of Sky Redhawk, a Native American musician and owner of Native Sounds Music and Art Gallery. 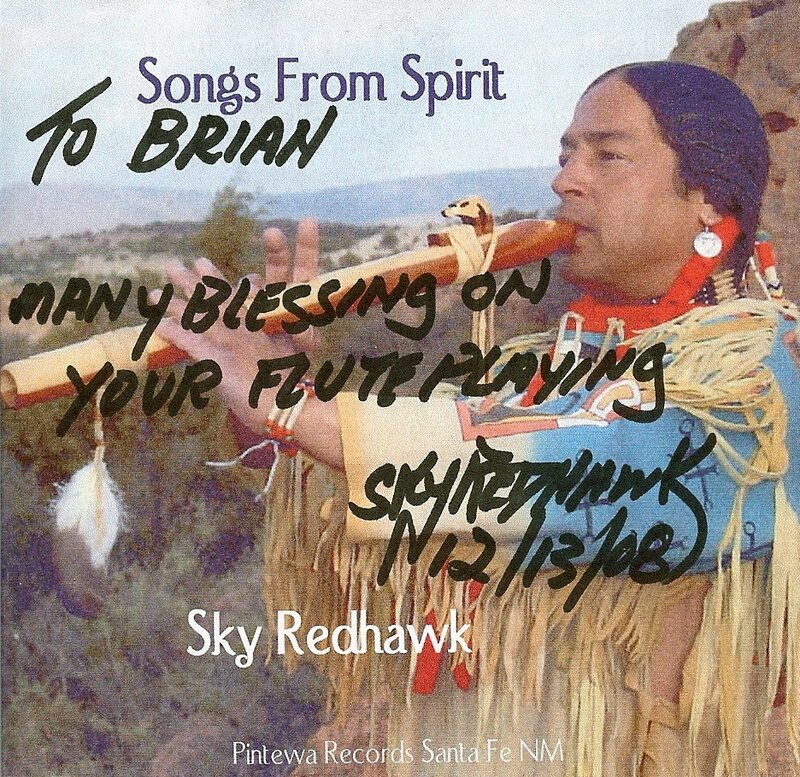 Mr. Redhawk took up the Native American Flute about 10 years ago and has been making fine music with it ever since. He demoed one of the entry level flutes and I knew immediately that this was something that I was interested in learning more about. Having never had any affinity for playing a musical instrument, Sky showed me a couple of basic moves and I was sold. Sky also explained the difference between the Native American Flute and a traditional western flute…where the music comes from…it pours directly from you, and is both emotional and spiritual. I’ve been playing around with it for a week now and I am still excited about it. I am definitely a beginner and am usually off key or out of breath, but I am learning – little by little. If you are heading to Santa Fe, I highly recommend that you stop by Native Sounds and check it out. 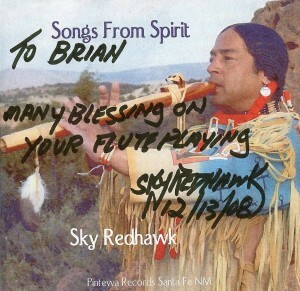 If you aren’t, well why don’t you call up the shop and order a couple of Sky Redhawk’s CDs, you won’t be disappointed.